Buy Eric Shay Howard a Coffee. ko-fi.com/ericshayhoward - Ko-fi ❤️ Where creators get paid by fans, with a 'Buy Me a Coffee' button. 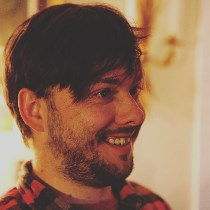 Eric Shay Howard is the author of the forthcoming fiction collection Crushes. He has a Bachelor of Arts in English from the University of Louisville and lives in Louisville, Kentucky. In addition to writing his own fiction, writing on his blog, and helping others with their writing, he is the founder and editor-in-chief of Likely Red Press. Secured Payments. Support goes to Eric Shay Howard's account. A batch of ISBN numbers for some upcoming books. Upgrade Eric Shay Howard to a yearly Gold Membership with a one-time payment.